NCRTC Notification is out. NCRTC is recruiting for 04 Director Post Posts. 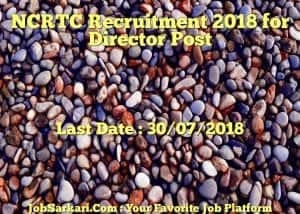 You can check NCRTC - National Capital Region Transport Corporation last date, download NCRTC notification, visit NCRTC official website and check other NCRTC Vacancy details.Complete Vacancy and recruitment Details about 04 Director Post vacancies in NCRTC are provided below by JobSarkari.Com only for you. Director (Projects) Candidate Must Have Passed Graduation in Civil Engineering. 01. Director(Electrical & Rolling Stock) Candidate Must Have Passed Graduation in Electrical / Mechanical Engineering. 01. Director(Systems) Candidate Must Have Passed Graduation in Electrical / Electronics Engineering. 01. Director (Finance) Candidate Must Have Passed Graduation in Any Stream. 01. Total No of Post 04. National Capital Region Transport Corporation Ltd 7/6, Siri Fort Institutional Area, August Kranti Marg, New Delhi - 110049. On or Before 30th July 2018. Q. What is the Last Date For NCRTC Director Post Vacancy ? A. 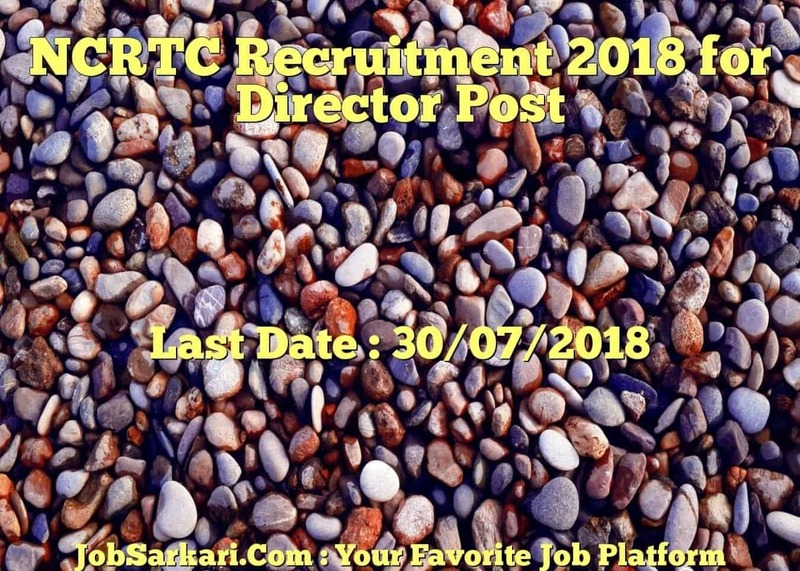 Last Date for NCRTC Director Post Posts is 30/07/2018. Q. What is the Form Type of NCRTC Director Post Recruitment ? A. The Form Type for NCRTC Director Post Posts is Offline. Q. How many vacancies are available in National Capital Region Transport Corporation Director Post Posts ? A. There are about 0 Vacancies in National Capital Region Transport Corporation Director Post Posts. Q. What is the Full Form of NCRTC ? A. Full Form of NCRTC is National Capital Region Transport Corporation .